Sunday, March 24: The Wisconsin Badgers women's hockey team celebrates the 2-0 win over Minnesota in the 2019 NCAA national championship. Sunday, March 24: Wisconsin forward Annie Pankowski takes a shot on goal against Minnesota Goaltender Alex Gulstene in the national championship. Sunday, March 24: The Milwaukee Bucks brought back throwback Bango for the Marques Johnson jersey retirement celebration at Fiserv Forum. 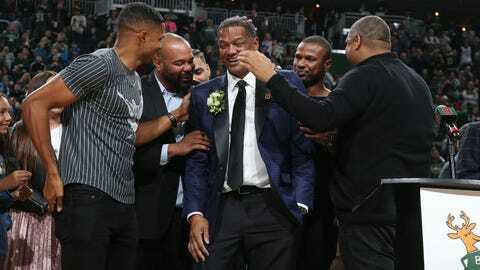 Sunday, March 24: Marques Johnson is hugged by his five sons after the Milwaukee Bucks retired his No. 8 jersey at Fiserv Forum. 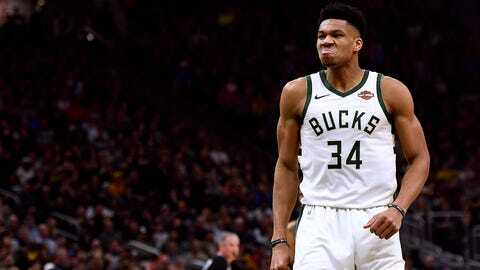 Tuesday, March 26: Giannis Antetokounmpo gives the Houston Rockets a "mean mug" during the Milwaukee Bucks' 108-94 win at Fiserv Forum. 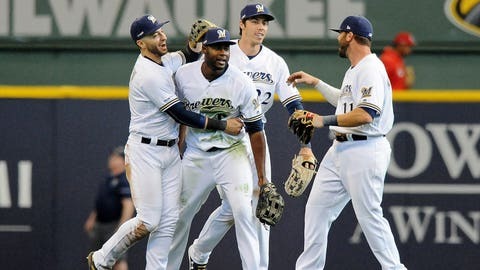 Thursday, March 28: Milwaukee Brewers outfielder Ryan Braun gives outfielder Lorenzo Cain a hug after catching the last out against the outfield wall at Miller Park. 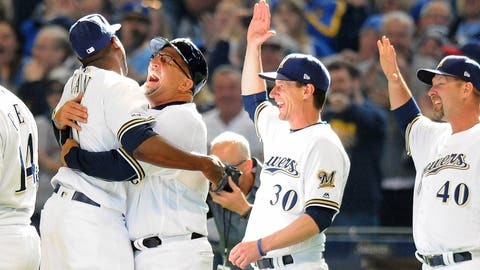 Thursday, March 28: Milwaukee Brewers outfielder Lorenzo Cain gets a hug from third base coach Ed Sedar after catching the final out of the game against the St. Louis Cardinals at Miller Park. Friday, March 29: Freddy Peralta fires home in the second inning during his first start of the 2019 season. 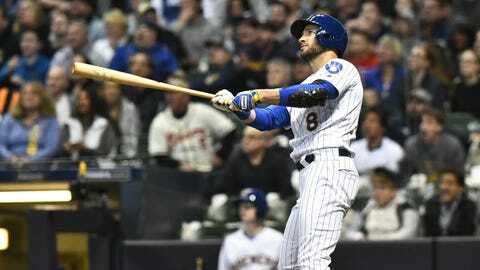 Friday, March 29: Milwaukee outfielder Ryan Braun follows through on a swing in the third inning of the Brewers' 9-5 loss to St. Louis. 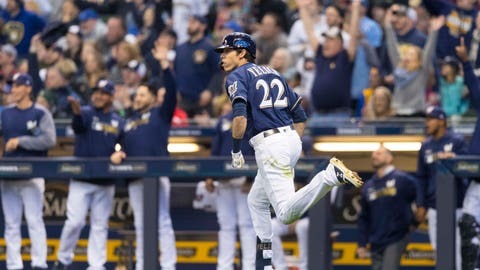 Saturday, March 30: Brewers' Christian Yelich rounds the bases after hitting his third home run in as many games against the St. Louis Cardinals.